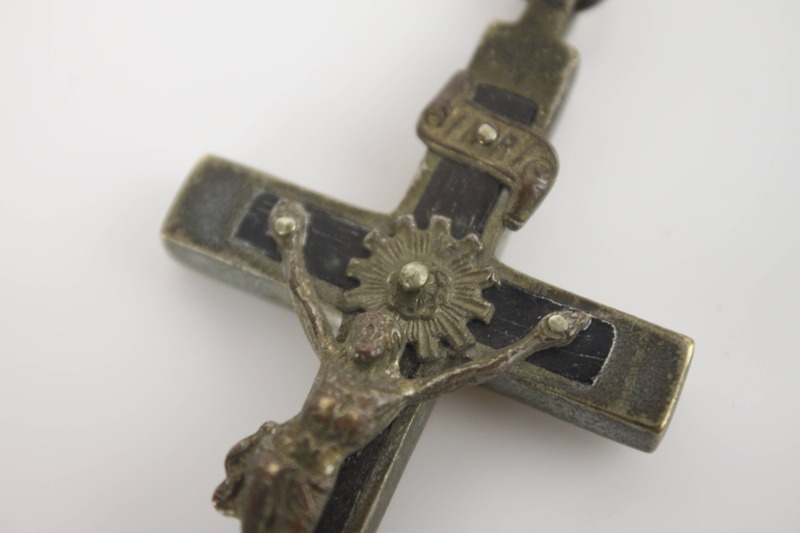 This beautiful crucifix is fine example of 19th century whitesmithing! 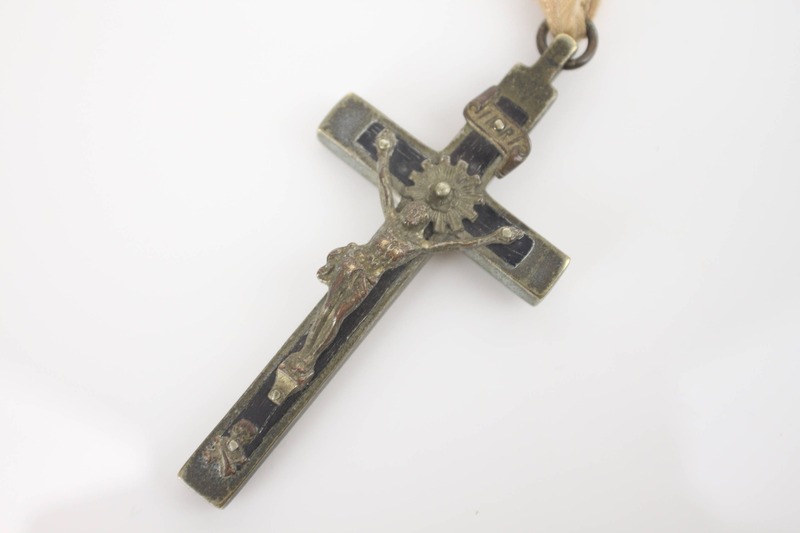 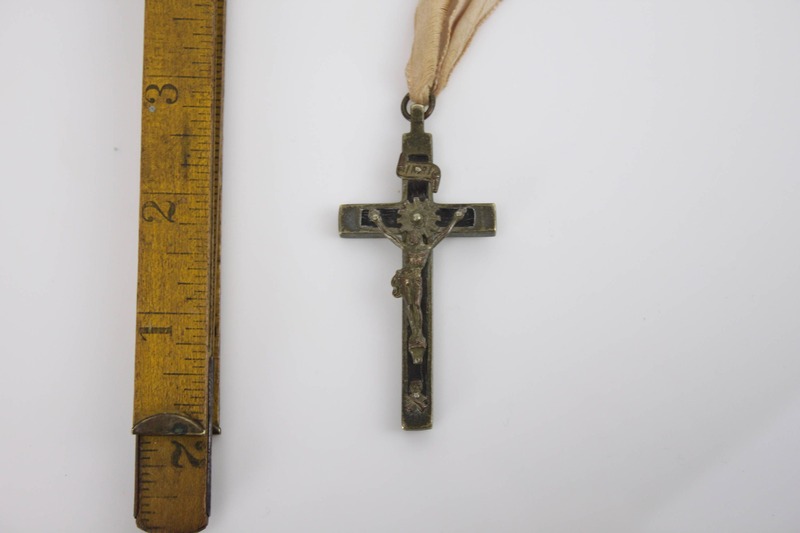 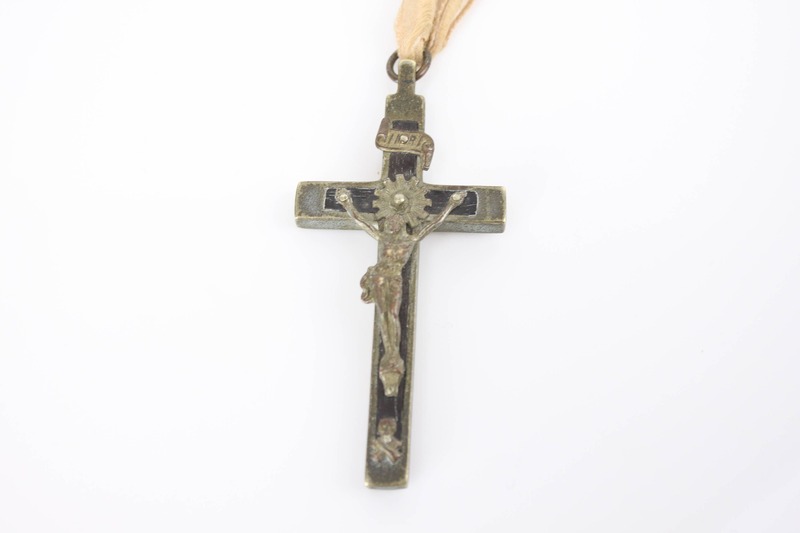 Sometimes called an soldier's cross or pectoral cross - this large crucifix was mostly likely made as a coffin crucifix and meant to be displayed in a coffin during the waking period and later given to the family. 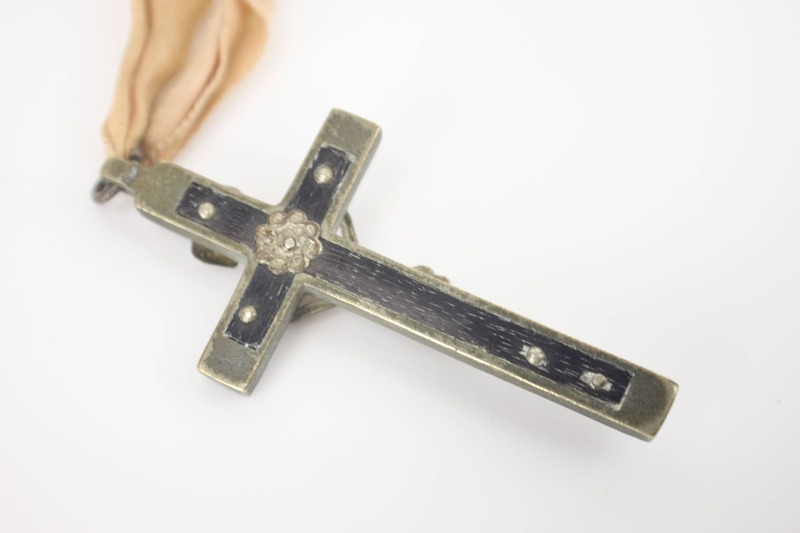 Has original ribbon still attached! 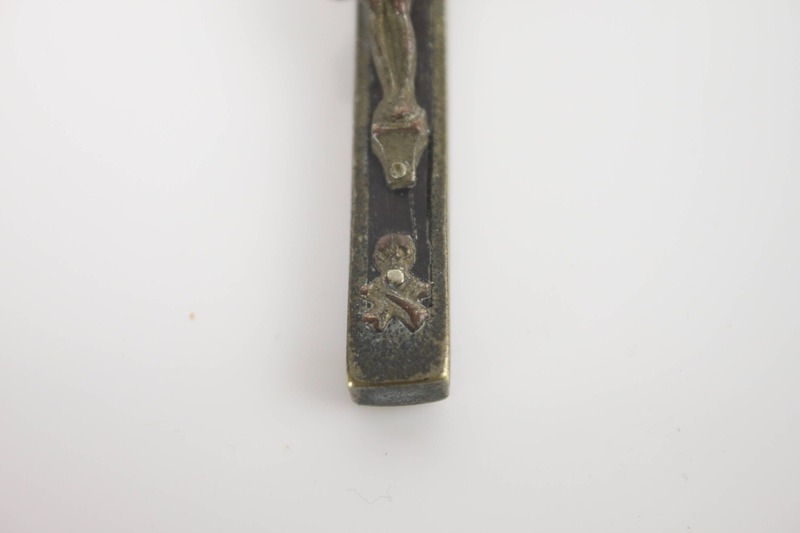 This crucifix has a large soldered jump ring at the top allowing for it to be easily hung on a wall or worn on ribbon/chain. 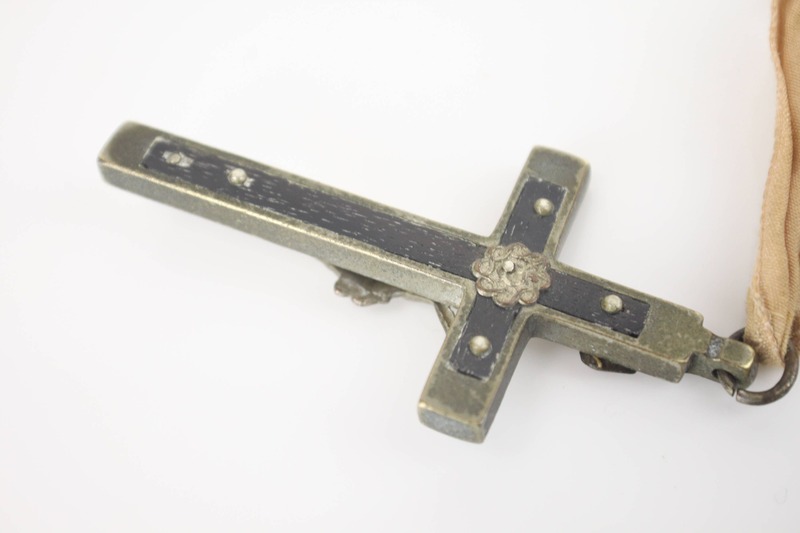 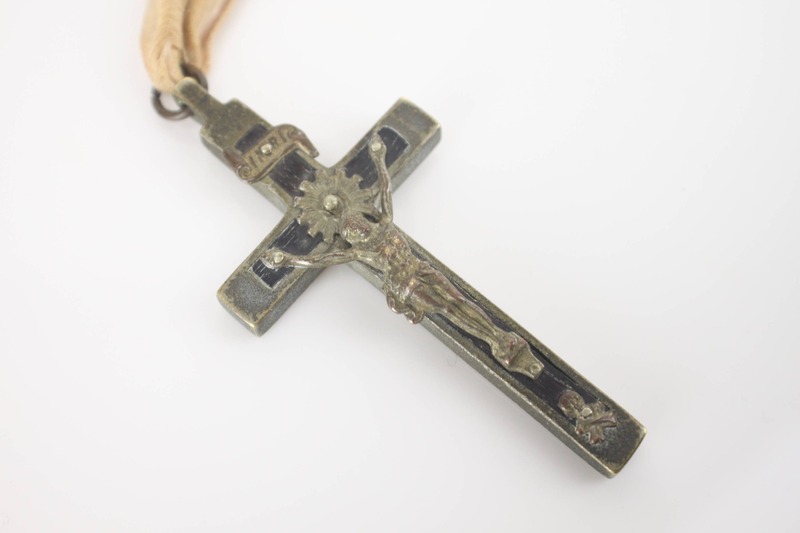 The cross is made of silver washed brass with a ebony inlay and features a strikingly detailed corpus, halo , title board and skull & crossbones on its face side. 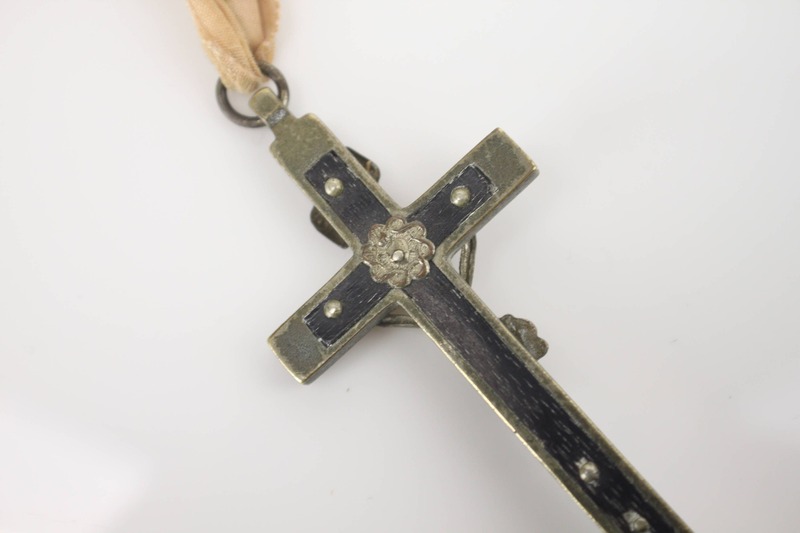 The reverse side is inlaid with ebony and features a pierced heart wreathed in thorns directly opposite the halo.